With decades of experience and a host of happy clients, here at Aqueous Designs, we’re passionate about providing the perfect bathroom no matter how big or small the space. We believe your bathroom should not only be practical and easy to clean, but be able to offer you an indulgent pampering experience every time you enter. From functional budget bathrooms, to power showers, saunas and jet stream baths, we have the products to suit your home and lifestyle. 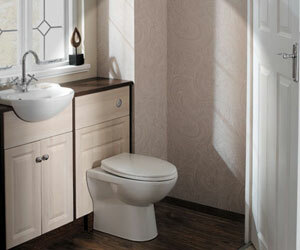 Our skilled plumbers create the minimum of fuss as they turn your space into a haven of relaxation. Right now we’re offering a free design consultation where we bring the showroom to your living room. Choosing a time to suit you we’ll listen to your lifestyle needs as we bring your design life using the latest technology so you can view before you choose. 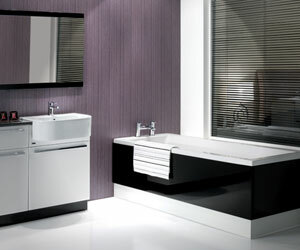 All of our products are sourced from reputable companies that have a long history of providing quality bathroom appliances, backed up with our own workmanship guarantee, your bathroom will be built to last. We pride ourselves on our customer service and every client is important to us as we believe that only by getting to know you will we provide the bathroom you’re proud to use for everyday pampering. Our small space solutions allow you to indulge in the luxury you thought you may have to do without, as our all-encompassing approach ensures we make the most of the space you have. From the design, to the installation and plumbing, we always exceed expectations ensuring we leave a list of satisfied clients that use us again and again. Contact us now to see how soon you could receive your free bathroom consultation and we’ll bring the showroom to you, for free!